Manassas, VA– The NRB 2014 International Christian Media Convention in Nashville, TN, will feature a presentation by Southern California ministry leader, university founder, and best-selling author Jack Hayford during the Awards Dinner on Tuesday, February 25, 2014. 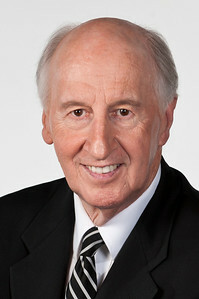 Jack Hayford is the Chancellor and Founder of The King’s University (formerly The King's College and Seminary) in Los Angeles, CA, which he founded in 1997. From 2004 to 2009, he also served as President of The International Church of the Foursquare Gospel. He is probably best known, however, as "Pastor Jack," founding pastor of The Church on the Way in Van Nuys, CA, where he served as Senior Pastor for more than three decades. Pastor Hayford began his television ministry in 1977 and his radio ministry in 1981. Today, he broadcasts a half-hour television program titled SPIRIT FORMED®, and his radio podcast, LIVING WAY RADIO®, is carried on stations throughout the U.S. and online. A prolific and best-selling writer, Pastor Hayford is also the author (or co-author) of more than 100 books and has composed 600 hymns and choruses, including the internationally known and widely recorded "Majesty."